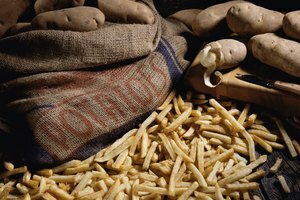 Blanching potatoes has a number of benefits, and people use the process for different reasons. Blanching potatoes helps to remove the skin, keeps them fresh and colorful, maintains color, reduces microorganisms and preserves the potatoes for freezing. This means that the potatoes will not turn brown after they are cut. 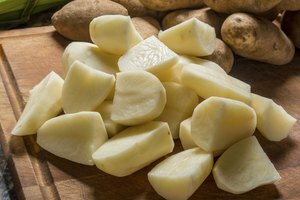 To maintain fresher looking and better tasting potatoes, consider blanching them before serving or freezing. Fill a large pot with water and bring to a boil. 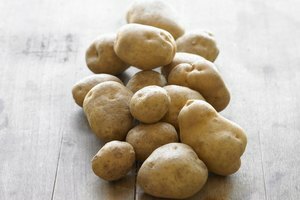 Use at least 1 gallon of water per pound of potatoes. To improve the flavor of the potatoes, add 1 tbsp. of salt to the water. While the water is heating, fill a large bowl with ice water to be used later. Wash the potatoes. 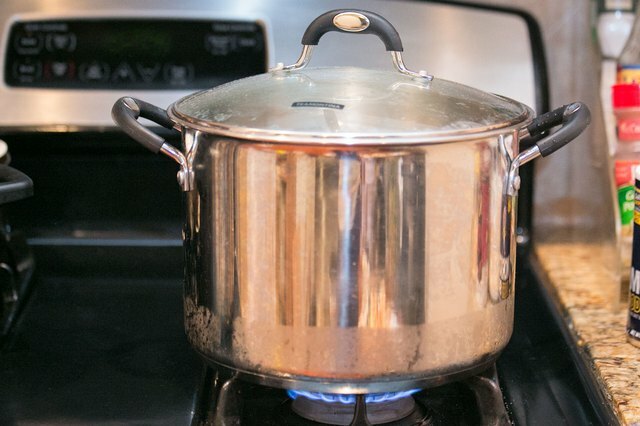 If you are blanching for peeling, place them beside the pot of boiling water. If you are blanching them for freezing, wait until the water has come to a boil before peeling and cutting them up. 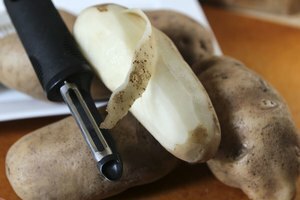 When cutting up the potatoes, cut them in to equally sized pieces to ensure that the potatoes are cooked evenly. Place the potatoes into the boiling water. Do not overfill the pan with potatoes. This will slow the cooking process because it lowers the temperature of the water. 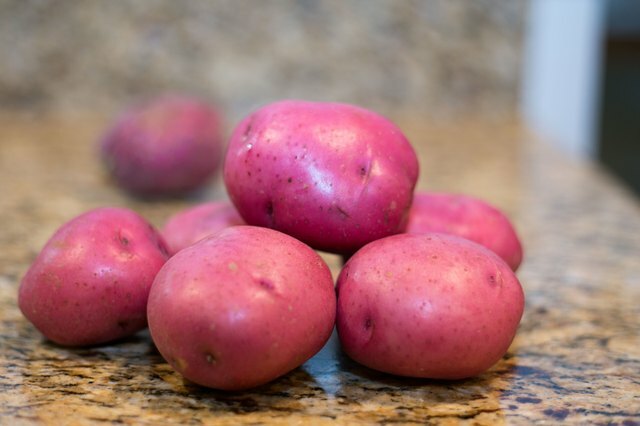 You can blanch your potatoes in portions if you have a large quantity. Leave the potatoes in the water for three to five minutes until desired tenderness. 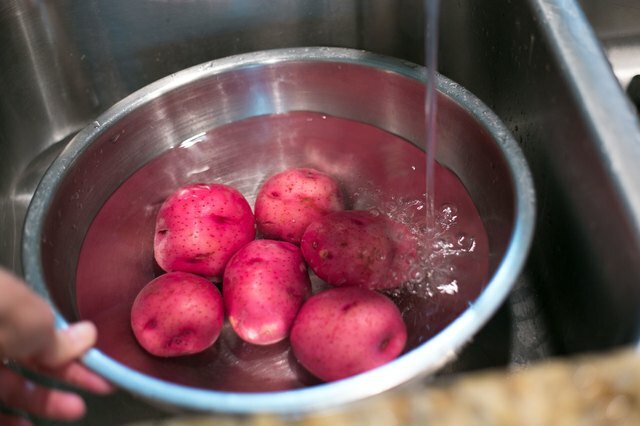 If you have a timer, start the timer as soon as you put the potatoes in the water. 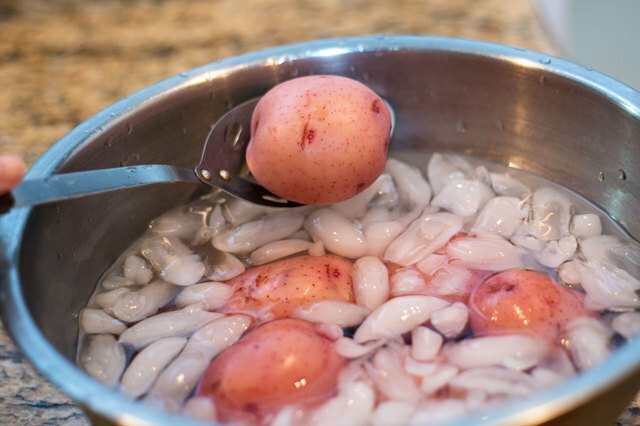 Remove the potatoes from the boiling water with a slotted spoon and immediately put them in the bowl of ice water. 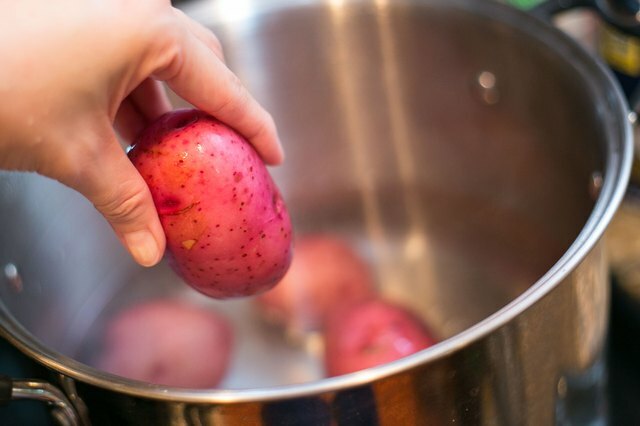 Often referred to as an ice bath, this stops the potatoes from cooking any further while maintaining the color of the potatoes. The time spent in the boiling water and in the ice water should be about the same length. 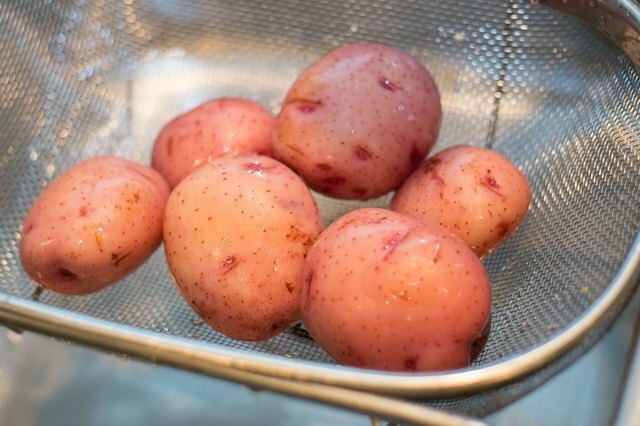 Extract the potatoes from the ice water and place them on a towel or in a colander for drying. The potatoes must reach 180 F to ensure that the enzyme that breaks down the vegetables is eliminated. At higher altitudes, water boils at a lower temperature. Therefore, blanching could take up to a minute longer.